Hello! 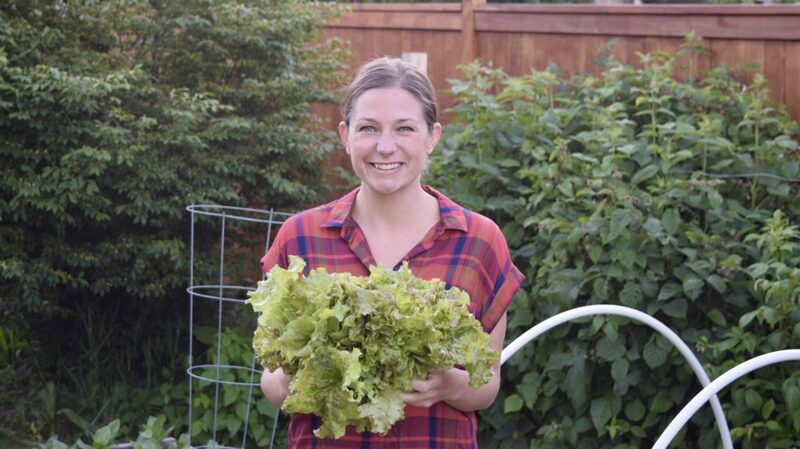 My name is Megan, creator of Seed and Sprout, and I’m honored to be featured on the NW Healthy Mama blog. I discovered Angela a year ago, at 3am, in the throes of waking up every couple of hours to feed and care for my newborn. I was yearning for some way to connect with my new identity as a Mother. 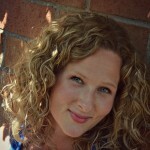 NW Healthy Mama’s blog and social presence immediately made me feel connected to a community of healthy minded, active, and supportive mothers and families. It marked the beginning of rediscovering who I am and who I wanted to be after adding this new BIG layer of motherhood to my identity. My son was born at the end of January 2016, just in time to plan and prepare my garden for the new year. 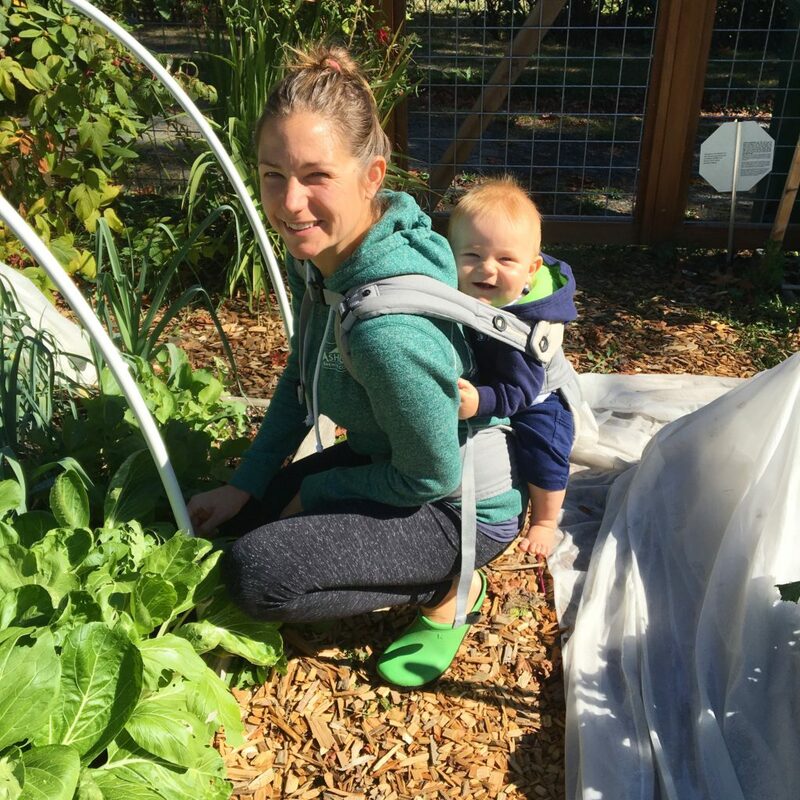 A major part of my postpartum healing took place in the garden. I was raised in the garden and was fortunate enough to build my own 4 years ago. Interestingly enough, before my garden, I killed just about every plant I owned. 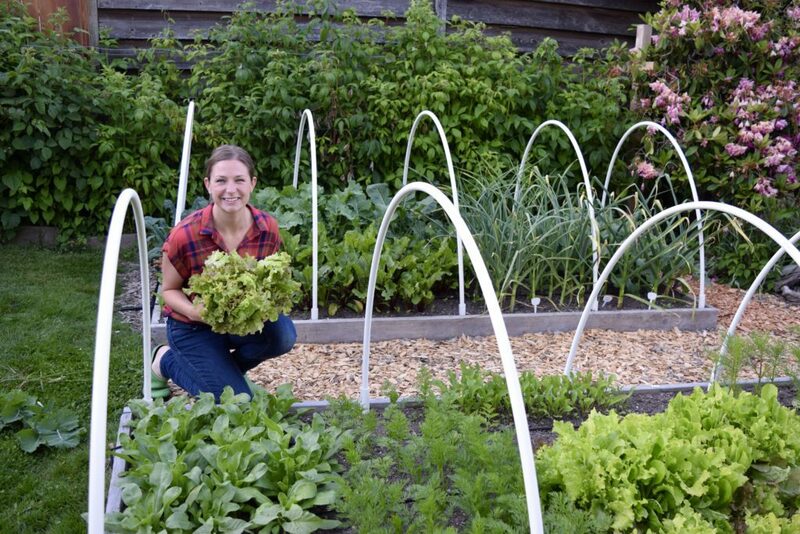 When I finally decided to try growing edible plants, everything changed. That first time I made a salad with my own greens, or ate peas straight off the vine (and didn’t pay $$$ for them), I was hooked. 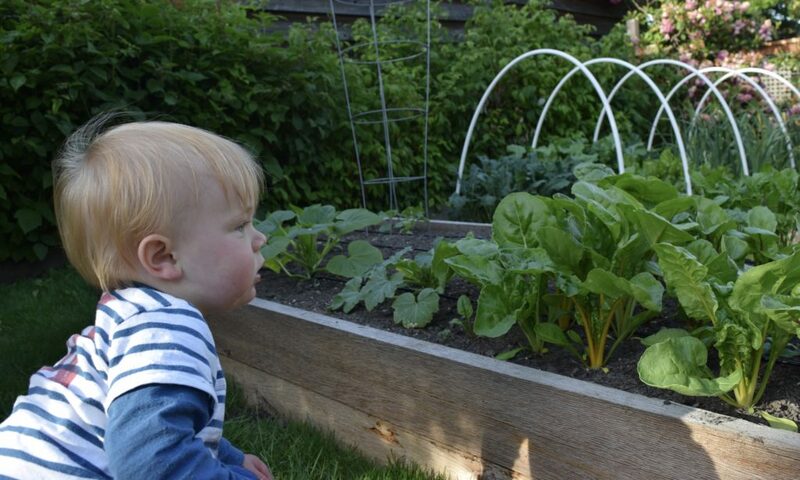 Luckily for me, in these first months of my son’s life my husband helped to make “time in the garden” a priority. Before I knew it, my son was joining me in the garden, whether strapped to my body or laying on a blanket. 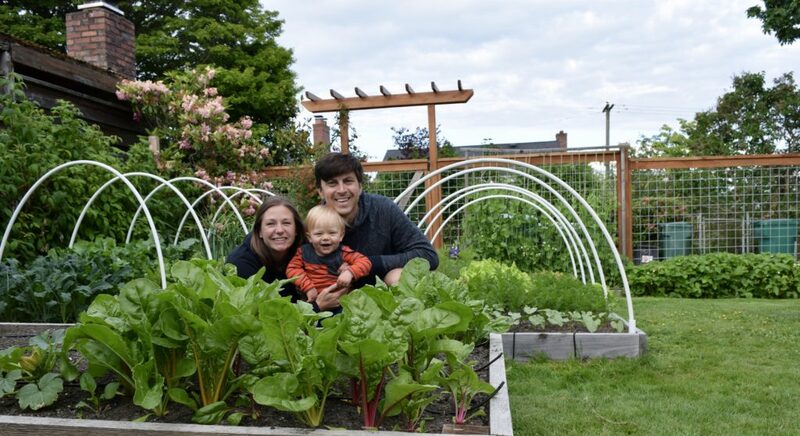 While I was growing him, I was also able to grow food and plants to nourish myself and our family. What I didn’t realize was that this time in the garden was also giving me the space that I needed to clear my mind. To sort through all my new anxieties and fears. To start thinking creatively. And to have the head space to make decisions that would ultimately help me to define the person that I want to be, at least for now. When I am tending to plants, it is so easy to be in the present moment, focused on the task at hand, like planting seeds or harvesting food. Away from social media, and the multitasking life that I am accustomed to, there is a quiet calmness that allows me to actually think. As a new Mom, one of the changes I was struggling with the most was how to balance my career/ being a Mom/ a wife/ and a healthy person. 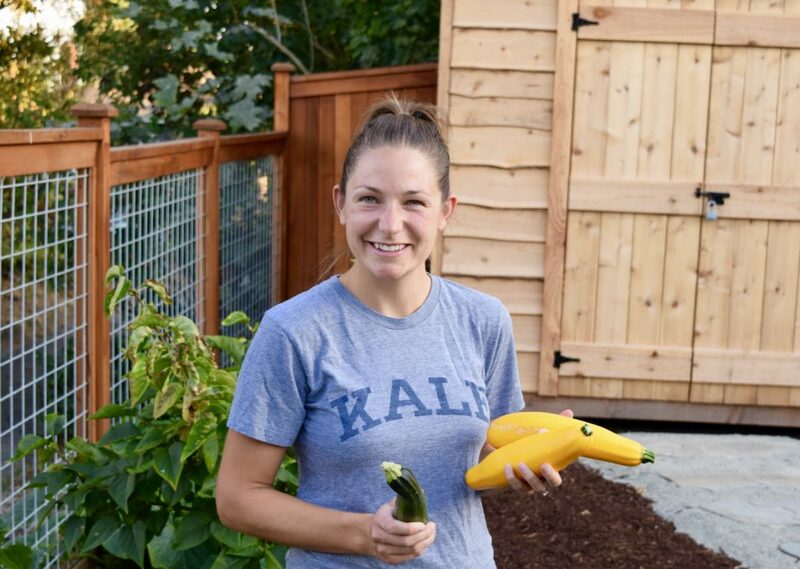 I won’t spend this post going into the details of my struggles, but what I do want to share is that the garden, and the act of growing food and plants, gave me the clarity and humility to make major decisions. Decisions that I never thought I would make. There are many societal and social pressures in this world, causing it to be a challenge to make decisions that are truly best for me. The garden is a place where I find humbleness. It reminds me that at the end of the day we need food, shelter, and love (not all easy to get but don’t include all the other things that people tell me I need). I strip out the voices and the pressures, and I am able to more clearly put life into perspective. What is best for me? What will ensure that my family is happy, healthy, and can keep a roof over our heads and food on the table? Not what I should be doing, or who someone else wants me to be, or what I need to own or do to be successful. The garden is a “no judgement” zone. The garden is also a place where I have learned to take risks and live in the unknown. Part of making big decisions is taking the risk of not knowing how they will turn out. It is funny how every time I plant a seed I wonder “Is this seed still good? Did I plant it right?” The list goes on. But I have to plant the seed to grow the food. I have to start somewhere. This is life; it is okay to try something new, to make mistakes along the way, and to learn as I live. 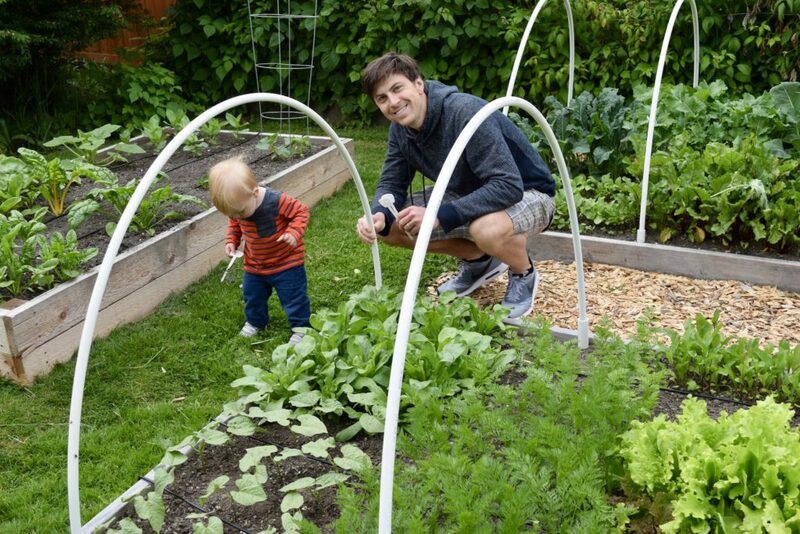 It is a lesson in teaching us to be excited about the unknown and finding patience in the process of planting, caring for, and watching something grow and ultimately give back. There is no manual for how to live our individual lives, we have to make decisions based on what is best for us, our families, and our values, and it can be uncomfortable. 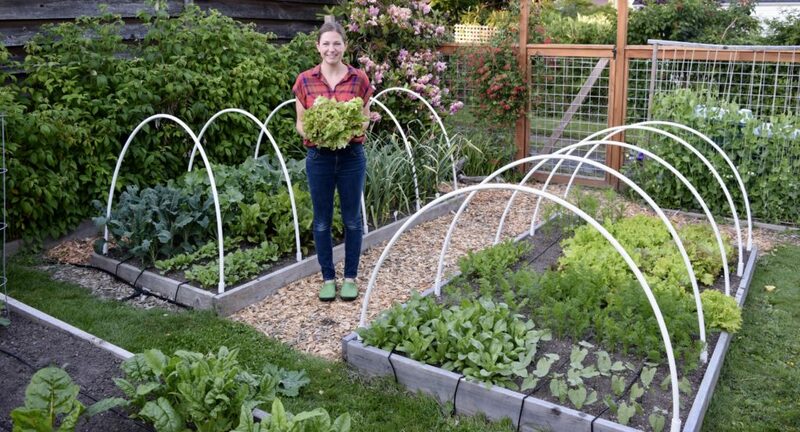 Lastly, the garden simplifies the life that we humans can make so dauntingly difficult. It brings me back to nature and the basic essentials of life, even if I’m just 40 feet from my backdoor. I don’t need to find the right diet to be healthy, I can just eat real food. I don’t need to plan a vacation every month to get family time, we can all be together in the garden and yard, working as a team and enjoying the fruits of our labor together. As a new Mother, any chance to simplify life ultimately brings me and our family more joy. My goal with Seed and Sprout is to inspire and to help just about anyone to grow plants, mainly food and flowers. 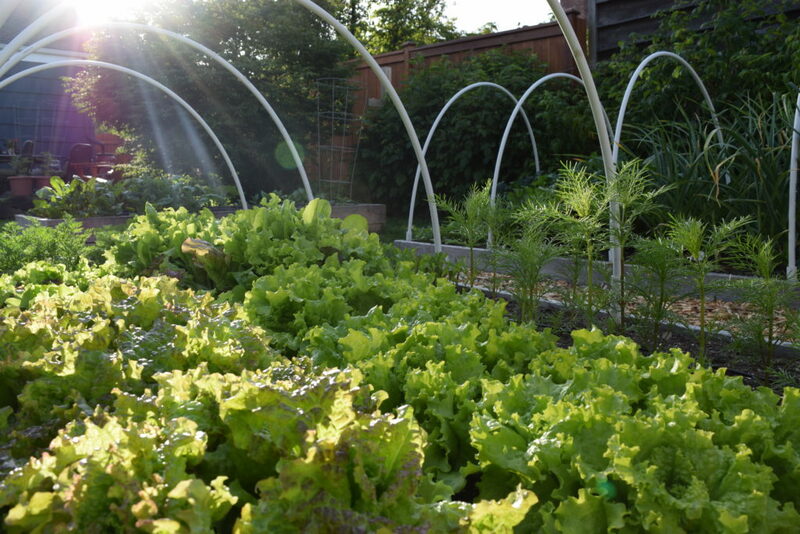 As everyone who’s read this post now knows, I am deeply motivated by the healing powers and healthy benefits of growing food. I also believe that a yard is not needed to grow food. Anyone can experience this same peace of mind, humility, and return on investment by growing a plant in one’s own home, on a window sill, in a container on a deck, or at a local pea patch. There are so many direct benefits from growing food, but it is the indirect benefits that make it addicting. 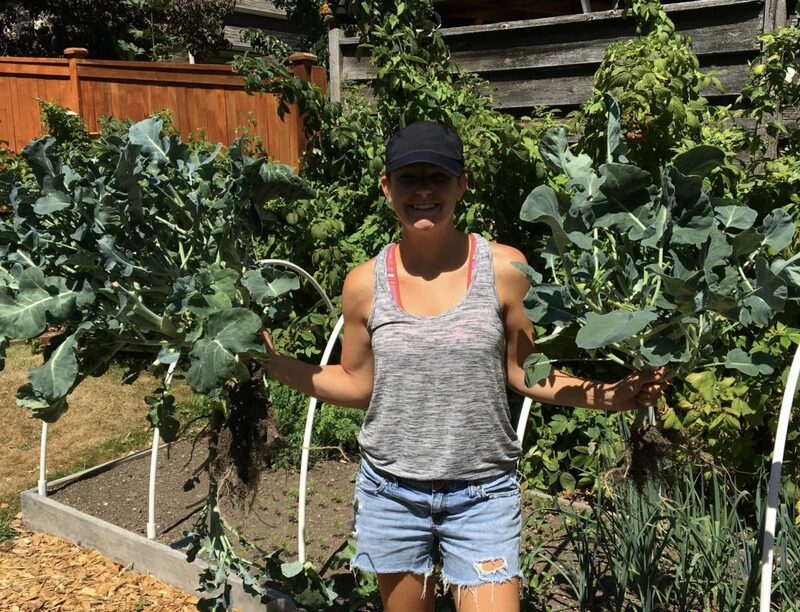 It has been a gift to myself to have an excuse to make time for quiet, for working with the earth, and for sharing its bounty with my community. This experience gives me humility, patience, clarity, and always brings me back to my core values and needs. Helping me to be the best version of me, in all my roles. I encourage you to try growing something edible, and to take in the process, even the frustrations. Hopefully you will learn something new, or at least have an excuse to take a break from the noise and get a little closer to Mother Earth. Just love this post! 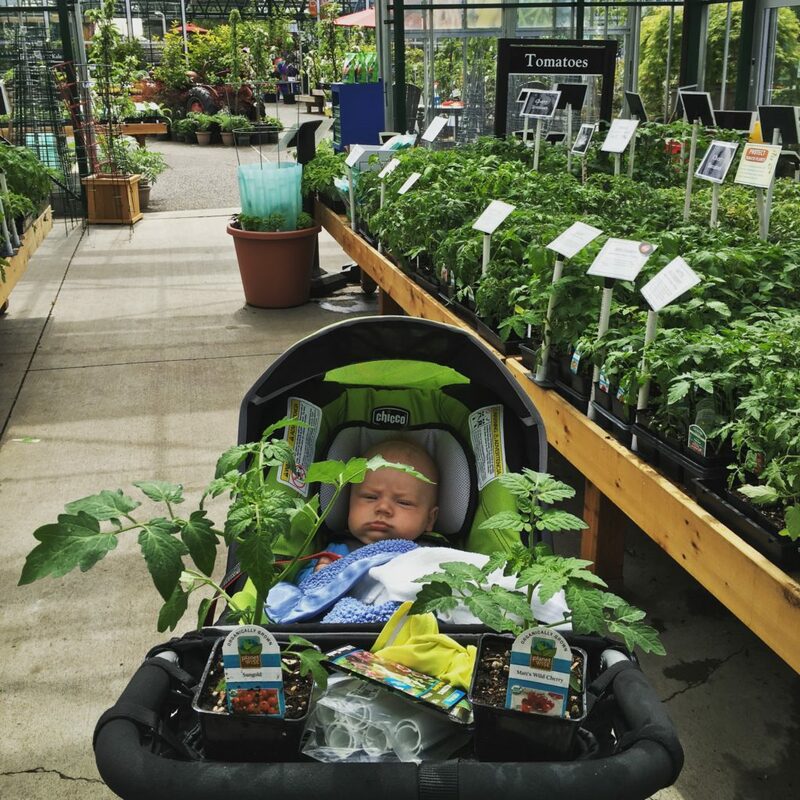 I love to see so many other gardeners here in the PNW thriving and making it work with their kiddos in tow, like me. I agree. Her writing is so beautiful and spot-on! We’re all more alike than we think!